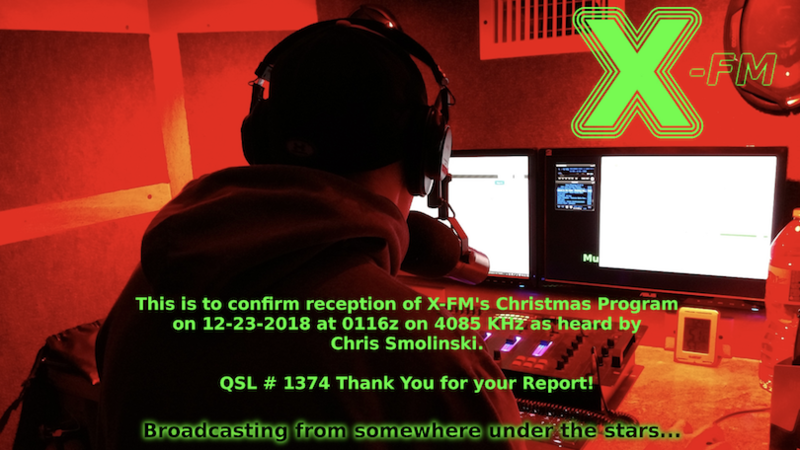 QSL #1366 received here for the Christmas program...thanks redhat! Received #1373 here, thanks Redhat! Received the same eQSL, thanks as always Redhat ! And with that, 2018 is 'in the can'. We issued 152 QSL's for 9 shows. Thank you all for your listenership, and we'll see you at the next show!